Meet Our Team | Aerosol Monitoring & Analysis, Inc. The AMA leadership team is comprised of experts that have decades of experience within industrial hygiene, environmental, and health & safety. 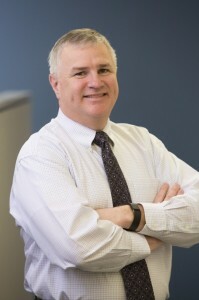 Todd joined the AMA Team in 1995 and assumed the role of President and Chief Executive Officer of AMA in 2009. He is a Certified Safety Professional and brings decades of business management experience to AMA as well as experience in hazardous materials management, safety and industrial hygiene. 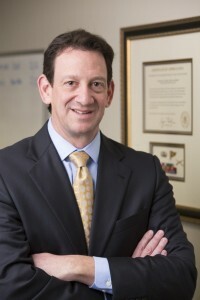 As the President and CEO of AMA, he is ultimately responsible for the overall operations of the company and the quality of service provided to AMA’s clients. In addition to providing strategic corporate direction, he is actively involved in business development, client maintenance as well as contributes to contracts involving hazardous materials management, and environmental, health and safety training. Todd has more than 25 years of experience in environmental, health and safety consulting and training services and is a retired officer from the Maryland Army National Guard. Outside the office, Todd enjoys reading (mostly novels) and traveling to Europe, when the airfares are fair. Joe’s experience includes over 30 years in industrial hygiene, occupational safety, environmental health, and hazardous materials management. Joe joined the AMA team in 1992. As a Certified Industrial Hygienist (CIH) and Registered Sanitarian (RS), he directs and actively participates in project work related to general industrial hygiene, indoor air quality, mold, employee exposure assessments, asbestos, lead and other environmental hazard evaluations. 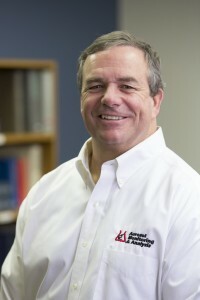 He is responsible for the technical direction and quality assurance of industrial hygiene services at AMA, including environmental health surveys, industrial hygiene and safety surveys, asbestos and lead surveys, and indoor air quality. As a LEED® Green Associate accredited individual, Joe is actively involved in improving building environments to create more productive workplaces. Joe has extensive experience in mitigating indoor air quality and health concerns in various types of buildings including healthcare facilities, education, commercial properties and government facilities. 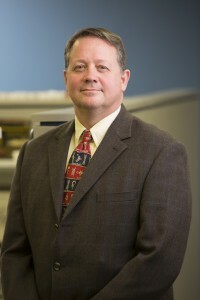 Joe routinely provides litigation support and training courses on indoor air quality and mold. Outside the office, Joe enjoys playing any one of his 24 electric guitars to the sounds of classic rock ‘n’ roll. Gary has over 25 years of experience in hazardous materials investigations, abatement design and industrial hygiene. A Certified Hazardous Materials Manager (CHMM), Gary joined the AMA team in 1992. He has extensive environmental experience with asbestos, lead, PCBs, Phase I and II Environmental Site Assessments, and indoor air quality assessments. He develops technical plans and specifications for hazardous materials management and designs abatement projects and provides litigation support and expert testimony for asbestos related cases. Gary’s responsibilities include direct client contact, project estimating, preparing technical reports, supervision and scheduling of industrial hygiene staff, and overseeing AMA’s quality control program for on-site phase contrast microscopy (PCM) analysis. Gary has managed multi-dimensional projects ranging from national historic buildings, to occupied healthcare facilities, to secure government facilities. Working primarily with the building owner or owner’s representative, Gary designs practical approaches while ensuring regulatory requirements are met. Outside the office, Gary is an avid fisherman and you may want to excuse yourself from any Texas Hold ‘em poker table where he may be seated. Rush is a Certified Safety Professional (CSP), Certified Industrial Hygienist (CIH) and Healthcare Environmental Manager (HEM), with decades of comprehensive occupational health, environmental management and general industry and construction safety experience. Rush joined the AMA team in 1992, and, as AMA’s Director of Training, is responsible for developing, directing and instructing training programs required for: asbestos, lead, mold, hazardous materials and the wide array of other EH&S training programs offered by AMA. Rush is an OSHA Outreach Instructor and travels across the U.S. and internationally delivering EH&S training. 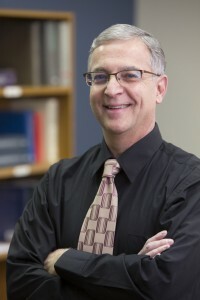 Drawing from his previous experience working for an international electronics company and a major defense manufacturer, Rush provides expertise in assessing, developing and implementing effective safety programs. His philosophy of “one size does not fit all” allows him to take a customized approach to developing safety programs tailored specifically to client site conditions and needs. Rush also provides litigation support and expert testimony for Lead-paint and health & safety related cases. Outside the office, you can find Rush somewhere on a tennis court, except during hunting season. Chip is AMA’s Chief Financial Officer and is a current Certified Public Accountant (CPA). Joining AMA in 1992, Chip directs the day-to-day administration and financial aspects of the company. His experience is in the financial arena – accounting, reviewing contract and subcontract agreements, approving purchasing, maintaining lease agreements and the various types of insurances for the business to function effectively. Chip also facilitates AMA’s human resources and manages our benefit programs. Additionally, Chip oversees AMA’s information technology needs and serves as the network administrator at AMA. He maintains the company’s computer network and the associated software and hardware. Outside the office you can find Chip on one of many area golf courses, except on Raven’s home game days, where you can find him in Section 502.